Noblis has bought National Security Partners LLC, a consulting and technical services provider in the intelligence community, for an undisclosed amount. 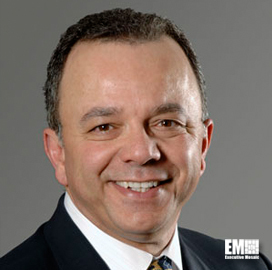 “This acquisition strengthens Noblis’ ability to innovate and increases the immediate value we deliver in support of our national security and intelligence mission, ” Amr ElSawy, Noblis president and CEO, said Monday. Roger Mason, Noblis senior vice president of national security and intelligence, said the purchase is intended to combine NSP’s threat defense expertise with Noblis’ experience in ISR, analytics, identity management, law enforcement and weapons of mass destruction countermeasures. “Tackling today’s complex national security challenges demands that we marshal the best of our skills across diverse domains and this new team is poised to help address those toughest problems, ” Mason added. NSP will operate as a Noblis subsidiary and report directly to Mason. Leslee Belluchie, NSP chief executive, and Ronald Lee Burgess, NSP chairman, will also join Noblis. Noblis offers program management, engineering, IT governance and acquisition support services to the federal sector through its ESI unit.